One of the key panels during IFP’s Independent Film Week was the hour-long “Masterclass: How to Finance Your Film,” moderated by Emerging Pictures’ Ira Deutchman. For those who want to watch the full panel, check it out below; for the text minded, here’s the highlights. “Pariah” is about a teenage black lesbian, so we turned over every rock to see who might support this story,” she said. “It took a lot of preparation. Knowing the cost of your money and the cost of those relationships are important as well. Cooper said that she and her team initially looked to the San Francisco Film Society and grants organization Cinereach for the initial round of finance. “With most of my projects, I start with the nonprofit sector first and then go to equity investors because some money is in place and it’s not recoupable,” she said. In the case of “Pariah,” the filmmakers had completed a short based on the feature.That was a plus for Cinereach because it gave the organization, which gives over $500,000 per year to features, a clear point of reference. He noted that while it’s possible to have a budget of $1 million, the project may only realistically sell for $200,000. A sophisticated equity investor is only going to want to invest what that person can realistically recoup. But there are creative ways to raise funding too, including soft financing through grants. HSBC has worked with filmmakers for over 20 years, mostly handling production accounts and cash needs on deposit sides. But in the last year, Sheehan’s division has worked with Kaufman’s team and Gray’s law firm on figuring out how to do lending against the NY state tax credit; they plan to go to other states as well. They have funded three films this year and have five more approved that they “will likely fund” by the end of October. Among Gray’s production counsel work is dealing with equity, foreign estimates and tax incentives; he believes that all areas of film finance should “settle in one place.” It’s always a leap of faith, he says, but if it can be done to give a sense of a comfort level, “it is a much more comfortable transaction,” Gray notes. Working with executive producers that can “give a leap of faith with confidence” will help that much more. Make sure before going in that you have someone in place who knows how all these various elements fit together. 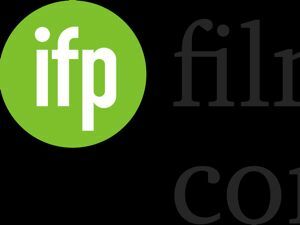 For more information on the individual panelists’ biographies, visit IFP’s website. Check out iW’s other stories from last week’s IFP Independent Film Week.